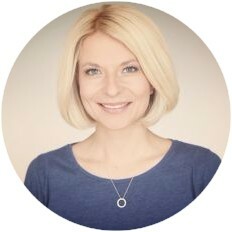 Dr. Tatyana Mezhevich is a Licensed Clinical Psychologist who earned her Doctorate degree in Clinical Psychology from Immaculata University. She completed her pre-doctoral fellowship at Belmont Treatment Center, Einstein Hospital. Throughout her training and practice she has worked in a variety of settings with individuals, couples and families from diverse cultures and backgrounds. Her specialty areas include: Depression, anxiety disorders, bi-polar disorder, grief and loss, trauma, attachment, emotion regulation, ADHD, parenting skills, and life transitions. In her work with clients, Dr. Mezhevich utilizes a caring and understanding approach to help establish a comfortable, positive relationship, where a client may feel safe addressing his or her emotional needs. She strives to bring compassion, honesty and warmth into the therapy session. Since 2008 she has been a member of I.F.A. (Insight For All) project, providing pro bono work to homeless women and men living at Philadelphia's Project H.O.M.E. Dr. Mezhevich has extensive training and experience in psychological assessment that encompasses the use of psychological tests and measures, along with an in-depth interview, to help clients answer significant questions they may have about themselves.